First school called Blodwel Charity School stood over the vestry at the west end of the north aisle of the church inscription on stone built in the west wall was erected AD 1919. The master resided in an upper room until 1828 when the roof became unsafe. He was put in residence at a cottage called Bridge House some teaching was carried out while repairs took place. 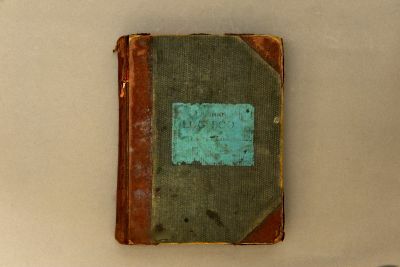 One of 2 school log books discovered (500 pages) of day to day life at Llanyblodwel School between 1871 and 1903. 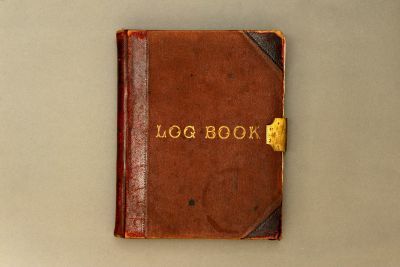 2nd school log book of Llanyblodwel school from 1903 to December 1922. 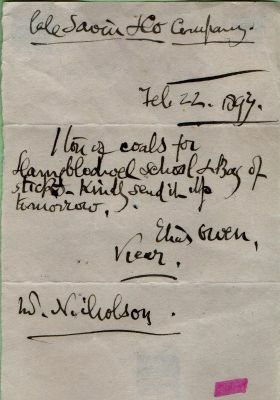 Order from Vicar (Elias Owen) for coal and sticks for Llanyblodwel School from Savin & Co dated Feb 22nd 1897.